The primary objective of the Work Related program is to teach persons with disabilities proper work habits and work skills to improve their ability to achieve supported or competitive employment. This may include teaching skills such as; following directions, task completion, problem solving, safety and mobility training. The Opportunity Center work floor is like no other prevocational work floor in the area. Our clients work daily to assemble and package products for direct shipment to retailers. There is essentially no “downtime” in our facility, and there are jobs for clients of all skill levels. We have also incorporated a system to promote clients within the prevocational setting, supporting them as they learn more independence and responsibility, while earning a higher wage. The primary objective of the Community Based Prevocational program is to prepare clients for full community integration in all aspects of their life. This preparation includes: classroom training for soft skills, community integration opportunities, social skills training and transportation training. We also offer job specific training that will support each individual to achieve employment at their highest functional level. Services include supervision and training based on individual needs and desires. ​In addition to our partnerships outside the Opportunity Center, we also provide community based prevocational services through both Sharing Spaces Kitchen and the Greenhouse. 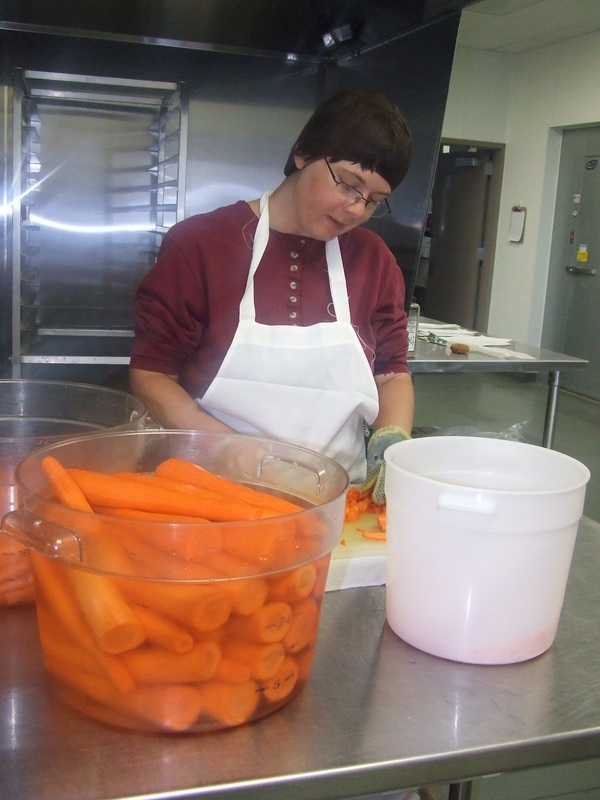 Clients are able to learn many new food industry related skills while working in the kitchen (washing dishes, packaging product, cutting produce, and putting together soups in a jar). In the greenhouse, the individuals served learn how to plant and care for different herbs and vegetables, as well as how to harvest them. ​Please contact Angie Engrav (Program Director) with any questions, or to schedule a tour.